PG-13 | Sequences of violence, sexual content and brief strong language. For me this is the breakout movie for comedian turned actor Kevin Hart as a leading man. Despite being in the film and television industry for a while, it seems like only now is he hitting his stride. 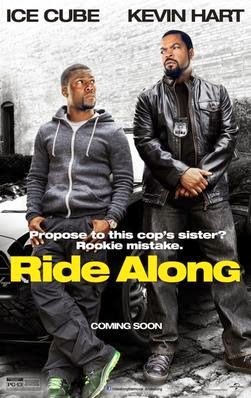 He still has room to improve, but Ride Along is a fun laugh out loud comedy reminiscence of the old buddy cop movies like 48 Hours and Lethal Weapon. The first 10 minutes features some incredible gun play and car chases that will have you thinking that you're watching an installment of Fast & Furious. However, as far as action goes, I have to say that it's poorly stacked to the front of the deck. Not that you don't have your shootouts and scuffles later. But the rest of the film features Kevin Hart's hilarious antics as they play against Ice Cube's tougher than nails serious demeanor. If you're not familiar with the movie, Kevin Hart plays Ben who is dating James's (Ice Cube) sister. He wants to marry her, and ask James for his approval. 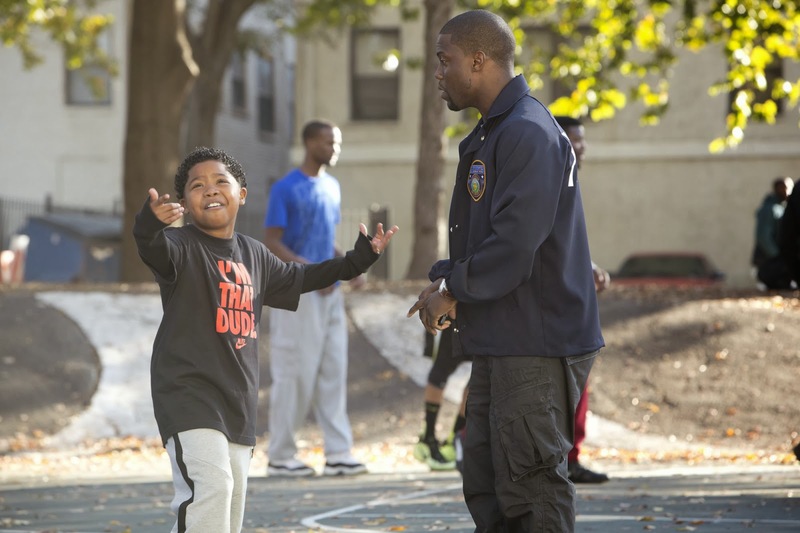 James decides to bring Ben on a Ride Along, since he is a cop and Ben a cadet-to-be, to show Ben that he is not worthy or ready to take care of his sister. James arranges for all the difficult 911 calls to be sent his way to force Ben's resolution, even arranging a fake incident. Meanwhile, James is tracking a master criminal named Omar (Laurence Fishburne) whom nobody has seen before. Overall, I really enjoyed the film and would recommend it to everyone. I like the parallels that Ben makes between his online gaming with the real life shootout that he's a part of in the warehouse. Ice Cube as consistent as usual in his typical role. Try not to think too hard with the clues in the movie but enjoy the ride and you will enjoy the movie. This is thus far my favorite comedy to come out this year.